Fireworks capture our attention with their beautiful colors and controlled explosions, both of which link directly to fundamental concepts taught in basic chemistry classes. 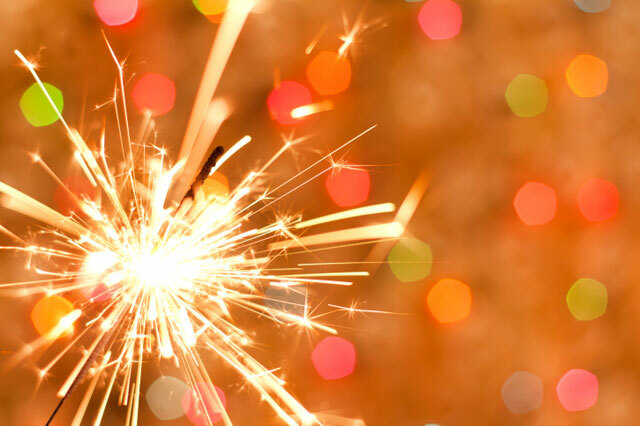 Media resources featured in the lesson, Igniting Chemistry in Fireworks provide a visually rich way to tie together spectral chemistry, combustion, and the nature of fire. Students begin by watching a video segment and reading text about the color of fireworks (particularly useful when following a chemistry lab in which powders of elements are placed over a flame to observe their spectral emission). They also watch a video segment and do an interactive activity on the mechanics of a firework, which leads to optional interactive activities for those wanting a slightly more advanced chemistry lesson involving chemical reactions. The lesson wraps up with video segments of different types of fireworks and an explanation of the principles of chemistry and pyrotechnics. Although black powder remains one of the most important components in fireworks today, in order to create the colorful displays audiences expect, it must be combined with many other chemical compounds. This video segment describes some of these compounds and explains how pyrotechnicians use them to create fireworks. Without some powerful way to blast them high above the ground, firework displays could only be enjoyed by small groups, rather than the large crowds they entertain today. This video segment, shows how pyrotechnicians load and fire these magnificent displays. This interactive activity details some of the most important chemical and structural features that allow fireworks to fly higher and burst more loudly and colorfully than ever before. In this interview from the NOVA Web site, chemistry professor Dr. John Conkling details advancements made in color mixing, explains the limitations of aerial shell bursts, and suggests, among other things, that properly timing the bursts of fireworks is the key to thrilling an audience. It seems likely that what really wows an audience at a Fourth of July extravaganza is the artistic creativity of the pyrotechnicians shooting elaborate starburts into the nighttime sky. This interactive activity tests students’ ability to identify the different shell types that are commonly featured in firework displays. All of these resources are found in PBS LearningMedia, a free digital media library that provides PreK-12 educators with direct access to thousands of contextualized, curriculum-targeted resources. Users can search, save, tag, share, and readily integrate learning tools into classroom discussions and lesson plans. For instant, FREE access, register here.